作者: Andrei Nikolaevich Lankov on 31 January , 2017. The election of Donald Trump who, in spite of his hard-living tendencies, has been talking about meeting North Korean leader Kim Jong-un for hamburgers, led to an increase in talks about a deal between Pyongyang and Washington. 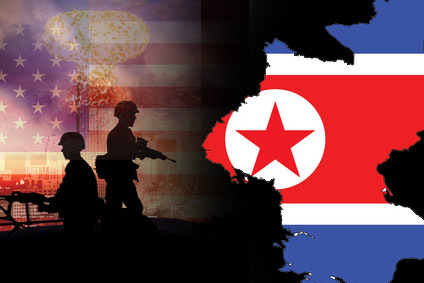 Nonetheless, as somebody who has dealt with North Korea for some 30 years, I have a rather pessimistic, if realistic, answer to the perennial question: “What could bring about a solution to the North Korean nuclear problem?” My answer is simple: If by ‘solution’ one means ‘complete denuclearization of North Korea,’ nothing short of a military strike or a revolution in Pyongyang. Decades of experience has demonstrated neither sanctions nor negotiations will work. Both have been tried, and both failed, in rather spectacular fashion. North Korean decision makers see nuclear weapons as their only security guarantee, an absolute deterrent, an infallible defense against would-be attackers. It means not only insulation from a foreign attack, but also increases the chances of surviving a major domestic crisis. The assumption is that nuclear weapons afford the Kim family and their supporters the opportunity to deal with a local rebellion, should it happen, in a harsh way, without bothering with nonsense such as ‘no-fly-zones’ and the like. Recent events have demonstrated to Pyongyang that nuclear weapons are, indeed, the only guarantee of regime security. Muammar Gaddafi was the only strongman in recent history who agreed to swap his country’s nuclear weapons program for promises of economic advantages — and got killed because he was too credulous. North Korea believes Western powers would have been less likely to support the local anti-Gaddafi forces had he maintained his arsenal. Without foreign assistance it’s less clear if the rebels would have been victorious. Thus, the North Korean leadership believes nuclear deterrence is the only thing that might keep them in power and alive. They are not going to do what Gaddafi did, partially because they do not believe Western promises anyway, and partially because the economic growth and well-being of the population is much lower on their agenda than regime survival. But is it possible, as many argue today, to use sanctions to create discontent among the elite or general population, thus forcing denuclearization of Kim Jong-un’s regime? Unfortunately, this is an unrealistic expectation that does not reflect the realities on the ground. Firstly, there is no chance that economic difficulties, present or future, will spark elite discontent. It is true that most dictators have to buy the loyalty of their henchmen and thus need capital. However, North Korea is different. The North Korean generals and apparatchiks, no doubt, appreciate a Mercedes and a good bottle of cognac, but, unlike their peers in other dictatorships, they also know they are cornered. It is the presence of a very rich South Korea that makes the difference. If stability is threatened in North Korea and the country goes down in flames, it is likely to mean the absorption of the North by the South. For the North Korean elite this means the loss of all power and, perhaps, freedom. Only excruciating sanctions, strong enough to bring down the economy, have some chance to succeed. However, China will not allow it to happen, since Beijing is more afraid of North Korea’s collapse and Korean unification than of North Korea’s nuclear ambitions. Sanctions without Chinese acquiescence become mostly impotent. Further, even in the event of crisis, the North Korean elites will stubbornly cling to their nuclear program on the assumption that denuclearization will merely postpone a revolution for a few years, while a nuclear arsenal will give them an opportunity to survive the challenge. We are left with a pessimistic conclusion: nothing will work, at least in the short term. Of course, in a democratic country every new administration will have to repeat the same song and dance: sanctions on one end, negotiations on the other, and various moves in between. History leaves little doubt, though, that these attempts will end in failure. Partial and imperfect solutions are possible — like, say, a negotiated freeze of North Korea’s nuclear program. However, North Korea will remain nuclear as long as the Kim family stays in power, which might mean a few more years, or a few more decades.